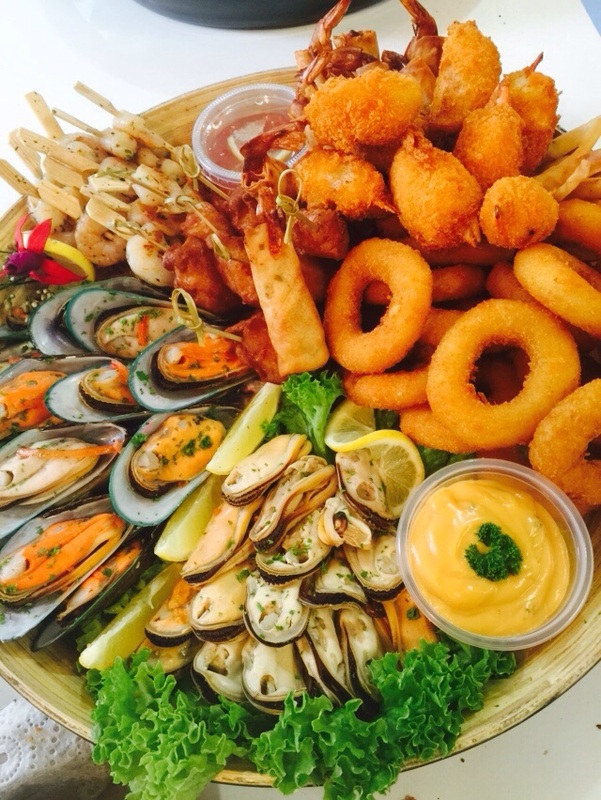 This platter consists of a medley of seafood treats. A selection of some or all of the following. Tempura Battered Prawns, Garlic Prawn Kebabs, popcorn shrimp mainated mussles or mussels in a half shell. The platter will be made up of a selection of 5 of these options and be accompanied with 2 dipping sauces, Sweet Chilli sauce and Thousand Island Dressing.